Let style up the barbie for any occasion. 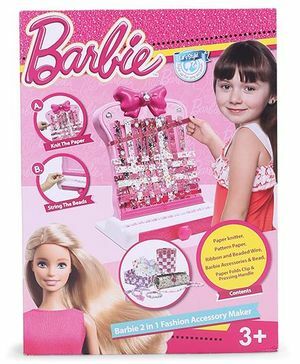 Girls can use the unique rotating knitting machine, coloured rubber bands and accessories that contain Barbie ornaments to make fashion accessories for Barbie and themselves. Can use a variety of weaving methods. Contains 6 different elements for girls to use and create beautiful accessories.